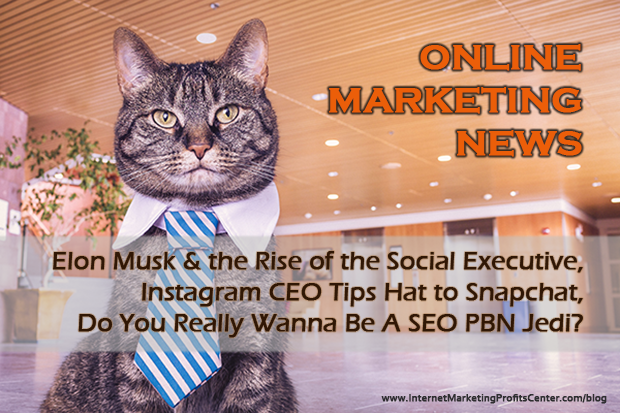 Home » Internet Profits Tips » Elon Musk on Twitter, Instagram Tips Hat to Snapchat, Wanna Be A SEO PBN Jedi? It’s time for another issue of online marketing news and stories. This time, I have a more diversify selection on marketing news, including some new sections. So let’s get started… and don’t forget to comment, express your thoughts or share. I agree, we can’t all be best photographers, although, there are on the cyberspace some great mobile and desktop apps that can take your Instagram photos and videos up to the next level and give an edge over your competition. If you are looking to get more out of Instagram, here are the 15 best Instagram apps that can help you rise above. These social media apps can be used to create unique video and images for your Instagram feed, find great content to share or post on your schedule. A few months ago, when Microsoft acquired LinkedIn for $26.2 billion, it zoomed LinkedIn onto the same playing field with Facebook and other social media giants in terms of ability to build out and scale new features on the site. “Imagine a world where we’re no longer looking up at Tech Titans such as Apple, Google, Microsoft, Amazon, and Facebook, and wondering what it would be like to operate at their extraordinary scale – because we’re one of them,” LinkedIn CEO Jeff Weiner said at the time. LinkedIn is making good on Weiner’s promise, with the news breaking that LinkedIn is busy rolling out native video on the platform. Up to this point, LinkedIn has relied on third-party providers such as YouTube in allowing users to share video on their news feeds or inside of blog posts. That all changes with the advent of “native” video, a move that has seen massive success on Facebook and other networks in recent months. I don’t know about you, but I like Elon Musk. A controversial figure but solid, very solid, on everything he touches. Anyone paying attention to the technology world over the past few years can tell you that Elon Musk is… different (maybe that’s why is so successful). He thinks differently from most CEOs – most notably leveraging his fortune to build an electric car company that no one said would work, and two other companies at the same time. He talks differently from most CEOs, diving deep into theories on humanity and gushing about science fiction more than discussing balance sheets. Who thinks differently from most CEOs while leveraging his fortune to build an electric car? But the best measure of how he’s different is how he acts, and there’s no better place to see that in action than on Twitter. On Twitter, Musk (@elonmusk) is an anomaly. He not only has more followers than his own car company (@TeslaMotors), but he also has more followers than @Ford, @Chevrolet and @Chrysler – combined. Read Elon Musk and the rise of the social executive. Believe it or not, starting and maintaining a profitable social media marketing for your brand can be quite intimidating. And I’m not talking here about posting a simple photo online and inviting a few “dumb-dumb” Net surfers to comment if it’s nice or not. I’m talking about things to grow a real online business. Since you will be online before a vast audience, the smallest of loopholes and mismanagement in your conduct can cost you money and your reputation. For an entrepreneur well versed in his business, planning ahead of time and check marking requirements for the task at hand is a great drill. If this is you we’re talking about, get yourself a cup of coffee and read through the following 13 points to find out how do your must-haves for social media marketing check out. With this one, things are clear: there’s no denying that Snapchat’s Stories feature heavily influenced Instagram’s recently added Stories feature. Not only the two share the same name (why??? ), but they’re both incredibly similar in their design and overall goal. As a user, all you have to do is create some interesting picture or video. By “uploading” it to your Story, you grant your friends on either platform the ability to see what you did – as much as they want – for a full 24 hours. After that, your little moment is lost forever. 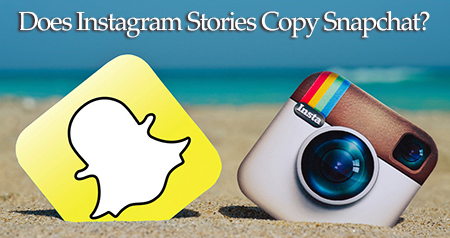 Read more on Instagram CEO Tips Hat to Snapchat for ‘Stories’ Feature. And since we are here, check out Instagram Stories in a classic Pros and Cons list. Because if a P & C list can help me determine if I should date someone who loves Phil Collins and owns a lot of plastic sheeting, it should help me come to a conclusion about Instagram Stories. Because social websites influence 71 percent of people’s buying decisions, social marketing has become an integral part of every business’s online marketing plan. Small or big businesses can use social media to reach, engage with and sell to a larger part of their niche market. > Is it resulting in actual measurable impact? > Which social media strategy is best for your business? > How do you know what’s working and not? > How do you know what’s the best use of your time and money? 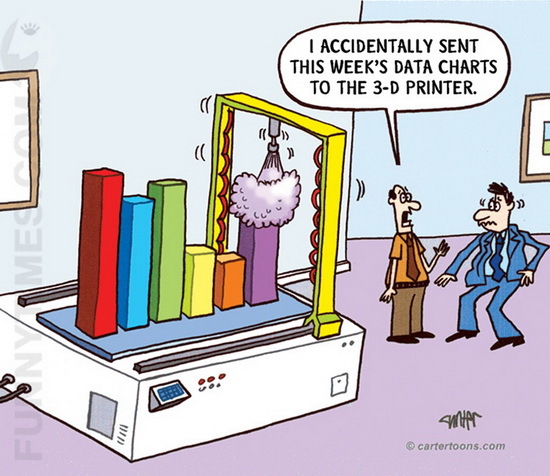 Social media metrics or analytics are measured to answer those pertinent questions. More facts and answers on Social Media Analytics Guide – What & How to Track. The battle between Google and SEO professionals and agencies is fiercely. And Google make another step to make our lives like hell (well, not quite). Are you ready for AMP (Accelerated Mobile Pages)? Ready or not, it’s coming to Google search results, and it’s arriving in a very big way. Google has announced that they’ll be showing Accelerated Mobile Pages in their search results for the “ten blue links”. This results in a page that loads lightning-fast, which is great for those who are on slower connections or simply don’t want to wait for a regular, heavier page to load. Not surprisingly, AMP has had a fairly positive reception both from site owners and from users. It’s much faster and more streamlined for searchers, especially on mobile devices that tend to be a little bit slower connection-wise. However, there’s work to do here. All these explained on Simple Recipes for No-Fail Landing Page Copy. 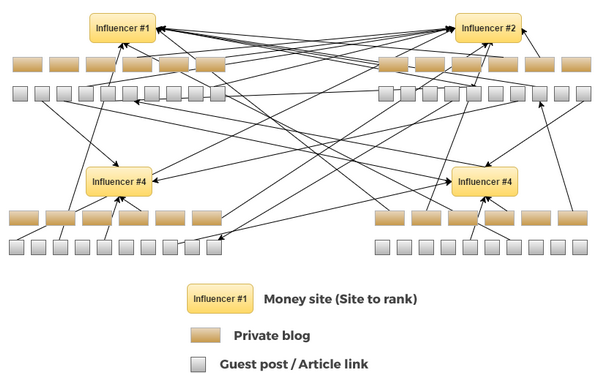 There is a new blog post by Glen Allsopp from ViperChill called PIN’s, The Future of Private Link Building. This time Glen is going to introduce you to a concept as he refer to as PIN’s, which is a way of “fighting back” against the large brands dominating the Google search results to give the little guys a chance. PIN is a play on the acronym PBN, which is commonly referred to as a private blog or link network. If you are loyal to Google guidelines, the teachings of blogs like Moz and love playing by the book, well, this article might not be for you to read. 1) Unless you are a long-term SEO expert, DO NOT try this! Creating a PBN or PIN is an advanced strategy and if you screw it up, Google won’t like it and you might loose your SERP’s. 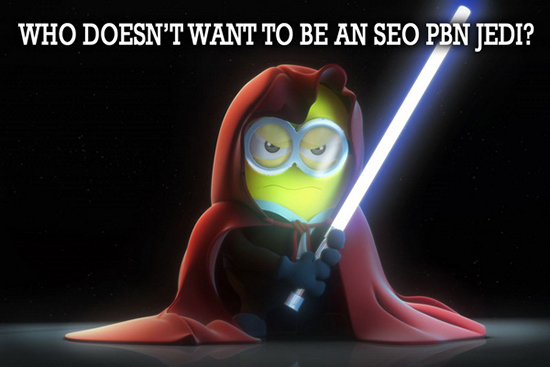 I’ve saved the best SEO tips for last! Depending on your marketing goals, the time you spend on off-page SEO will vary. Dr. Pete Meyers from Moz observed that many site owners spend about 30 percent of their time on off-page factors, and 70 percent on on-page factors. For other site owners, those percentages are reversed. Off-page SEO simply tells Google what others think about your site. For example, if you’ve got a lot of valuable links pointing to your pages, search engines will assume that you’ve got great content – the type that provides value for users. Off-page SEO is not just about links – it goes way deeper than that. For example, brand mentions are an integral aspect of off-page search signals. Off-page SEO is not just about links – it goes way deeper than that! As smart bloggers and content marketers, we usually start with on-page SEO. But we don’t stop there. Because, to a large extent, the things that matter to Google often happen away from your site. Do I get your attention here? Read all on The Ultimate Guide to Off-Page SEO. In terms of WordPress plugins, I’ve tested 2 promising rising stars… but what a major disappointment! The first one was called PageHat and it is basically a “Welcome Mat” type plugin. I was happy to discover this new entry because no matter how much I like SumoMe, they fail to let me add my own HTML code for email forms. That’s nasty SumoMe guys… Anyway, after I install PageHat and set everything I found a conflict with Google fonts and the script refuses to work properly and mess up with my WordPress theme. Nothing left to do that trash it. The other one was even more promising. It’s called Icegram. According to their site, Icegram is the best all-in-one Free WordPress plugin for onsite visitor engagement using popups, header / footer bars, notifications, messengers (and much more). Sounds nice, but after installing and setting all things “by the book”, all I’ve got was nothing! I was pleased by their Overlays addon (sort of “Welcome Mat”) but couldn’t go so far as I wasn’t able to use a free version. To sum up, it might be also my fault here. As you knew, WordPress plugins tend to get in conflict sometimes and since I already use Bloom from ElegantThemes, this might be the cause (even I deactivate Bloom and other plugins, nothing works). Moving forward, say hello to the mighty Rainmaker Platform. Rainmaker is a new content management platform that was developed by the Copyblogger team. It’s built on WordPress and the Genesis Framework – but it’s unlike any WordPress install you’ve ever seen! Rainmaker fundamentally takes all of the essential components of running various types of online businesses and puts them under one roof. No matter if you’re a beginner or expert blogger, startup company, traditional small business or a big “gorilla”, Rainmaker allows you to build a powerful online presence without the need to go out and use outside digital marketing tools. No matter what biz you run, Rainmaker allows you to build a powerful online presence. It features powerful tools for SEO, podcasting, forums, product creation, and online marketing education. When you login you have 8 menus to choose from: Dashboard, Design, Content, Traffic, Conversion, Results, Education. 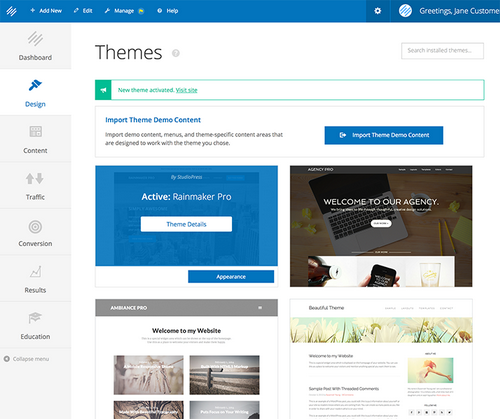 Rainmaker Design: 30+ beautiful themes (or use your own custom design); mobile responsive HTML5 themes; able to modifying the CSS code (advanced developers can now use Media Queries). Rainmaker Content: build posts and pages; create landing pages (include prebuilt pages and a landing page builder); build forums; free or paid membership programs; keyword, social, and trend research tools; Editorial Calendar to give you quick access to blog posts and podcasts; integrated RSS Feeds tool; Learning Management System to create unlimited free and paid courses. Rainmaker Traffic: comes with an integrated form of Scribe, the SEO content marketing tool from StudioPress; start your affiliate program (enroll affiliates, set commission rates, and track results); Outreach Options allow you to expand the audience for your content when you reach out to relevant website owners and social media experts. Rainmaker Email: send broadcast emails and schedule autoresponders; deliver responsive emails; start building an email list with a registration; allows you to build landing page opt-ins with the most popular third-party email service providers – including MailChimp, AWeber, Infusionsoft, ConvertKit, Constant Contact, Get Response, and Mad Mimi (with additional third-party integrations). Rainmaker Conversion: Rainmaker Setup Wizard help you accomplish your goals quicker than ever; A/B testing to increase conversion; use coupon codes, digital download manager, order tracking, dripped course and marketing content; check forum posts, order statistics, and sales summaries; The Marketing Automation feature allows you to create a true adaptive content experience for your users; take online payments with Stripe, Braintree, Paypal, and Authorize.net merchant accounts. Rainmaker Results: easy access to the metrics that matter like traffic, leads, sales; integrate Google’s free analytics service; get historical sales and lead data anytime; customize your Rainmaker Dashboard to pull the data you need to track the most, and see it on your home screen. Rainmaker cons: you can’t mix and match plugins, and customize whatever you want; limited email marketing integration – if you’re using another email marketing tool, you might need to switch over to one of them. From the ease of use, to robust functionality, Rainmaker Platform it has it all for Netpreneurs who want to focus on creating content without worrying about the technical details. Start your free, no-risk 14-day trial today to fully experience Rainmaker (without having to enter your card details) – the next generation online marketing and sales solution. Digital Marketing 2016: Top 100 Influencers and Brands: it’s interesting to note that the most popular topic among the digital marketing influencers is Social Media with a 27 percent share. The most popular topic among the digital marketing influencers still Social Media. 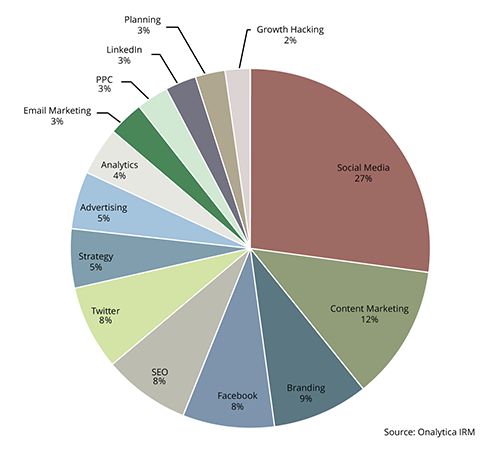 Content Marketing was the 2nd most popular, followed by Branding. Facebook, SEO and Twitter all received an 8 percent share of voice, followed by Strategy, Advertising and Analytics. Email Marketing, PPC, LinkedIn and Planning which all received a 3 percent followed by Growth Hacking with 2 percent (really??!). You’ve launched your product or service and now it’s time to start getting customers. Soooo nice…. hopefully by this point you already have some, from the awesome prelaunch strategy you executed (or not???!). This particular phase is often the hardest in the life of a startup. You need to move from that launch phase to building something that has a strong market demand (or product market fit). Getting traction is easy for some, but hard for most. Getting early adopters, customers and feedback is crucial to the ongoing development of your product. 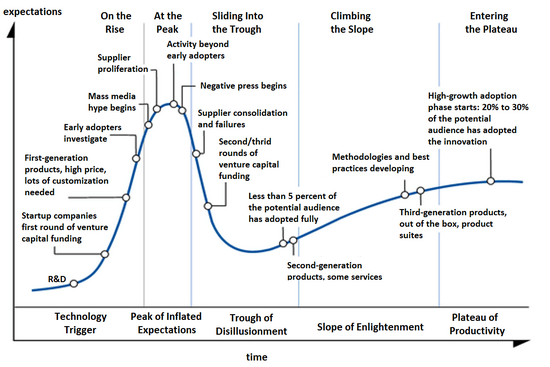 Below is an example of what’s called the Hype Cycle, a methodology created by Gartner which provides a graphical representation of the adoption of modern technologies and web applications. What this research shows is that it actually takes a really long time to build a viable and sustainable product. Rush on 15 Early Traction Growth Hacking Strategies For Startups. Sean Ellis is the Founder and CEO of GrowthHackers.com, the world’s largest network of growth experts (PMs of growth, growth engineers, performance marketers, growth analysts, etcetera). Previously, Sean held early growth leadership positions at Dropbox, Lookout, Eventbrite, LogMeIn (launch to IPO), and Uproar (launch to IPO). The world is going crazy after this. Yup, it’s Pokémon Go! Pokémon Go, the mobile game that has millions of people running from location to location, isn’t just a tech-bubble fascination on the part of the Twitterati – it’s boosting local businesses all over the world. Indeed, augmented reality, or AR, appears to be getting its close-up on Main Street. 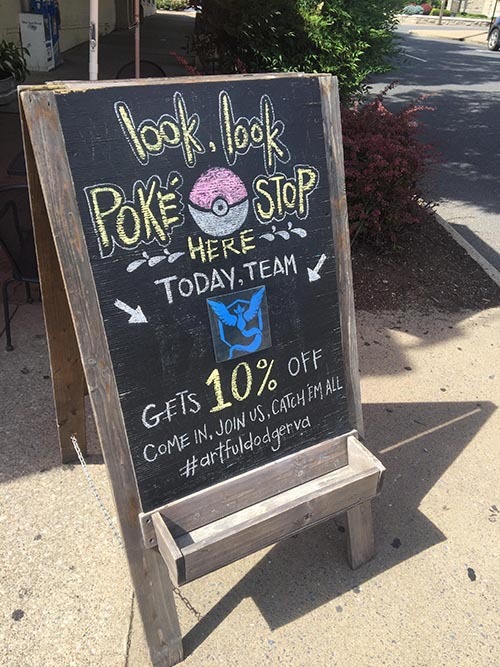 Pokémon Go isn’t just a mobile game – its boosting local businesses all over the world. “This weekend, we were just people-watching and noticed everybody staring at their phones,” said John Merritt, manager of CitySen Lounge, an eatery and bar in the CityFlats Hotel in Grand Rapids, Mich. “So, we put the sign up around 3 p.m. on Saturday.” Smart move, evidently. That sign has driven considerable patronage to the lounge, Merritt said, underscoring how popular Pokémon Go has become in such a short time. The city of Anaheim, Calif., has created a blog so people can find the best Pokémon Go spots in the area. Paul Shapiro, director of search innovation at Catalyst, a WPP/GroupM agency, said the game was exposing “a pretty large set of consumers” to augmented reality. OK, enough with this game. I’m wondering how crazy people are… read the full article Pokémon Go Is Inspiring Small Retailers. So Has Augmented Reality Gone Mainstream? A grandfather explains to his grandson that there are two wolves inside of us. And they are always at war with each other. One of them is a good wolf which represents things like kindness, bravery, and love. The other is a bad wolf, which represents things like greed, hatred and fear. How Do You Waste Time Online? We all waste time. But how do you compare to others? And what type of time waster are you? Here are the results of a worldwide time killer survey of over 600 small business owners, freelancers and professionals and what you can do to change. Full version online: How do you waste your time?